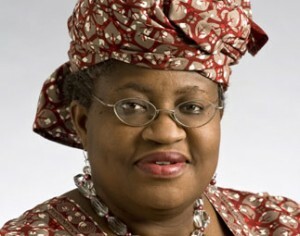 ABUJA (VANGUARD)--Former Minister of Finance, Dr. Ngozi Okonjo-Iweala, yesterday, told Nigerian politicians to stop using her name to advance their objectives. She said through a statement by her Media Adviser, Mr. Paul Nwabuikwu, that fake newspaper articles, quotations and audios were being circulated in her name and that the public should disregard them. According to her, such materials can only be genuine if they are directly from her Twitter handle. The statement read: “In spite of several rebuttals and clarifications that we have issued over the past months, some groups and individuals are still misusing the name of former Minister of Finance, Dr. Ngozi Okonjo-Iweala, to further partisan political objectives. “We would like to alert Nigerians that this unfortunate practice has increased significantly in this political season.